Finding an assisted living home for a loved one is overwhelming and, understandably, an emotional process. Coming to the realization that your mother or father are in better care in a home is challenging and hard to come to terms with. When you are in this situation, above all, you don’t want to worry about the financial aspects. All you want to do is find an appropriate, comfortable, and loving home in which they can enjoy their life. That’s where Above And Beyond Senior Placement Service comes in. The founder, Susanne, wants most of all to find a living arrangement that provides the best care for your senior loved one. 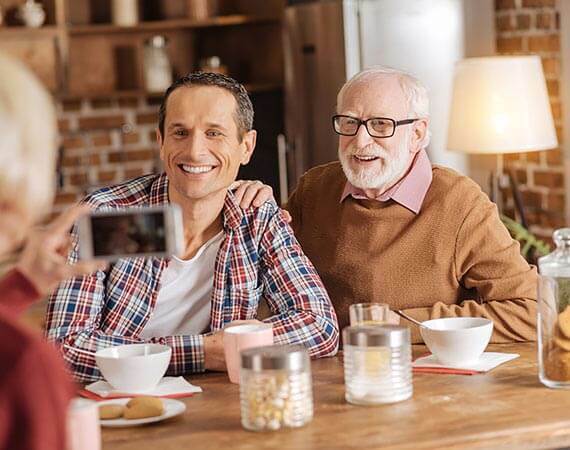 We will search out the best possible home that will offer activities, events, physicians, and even round the clock medication to make your loved one comfortable and safe. When many facilities are highly expensive, not to mention the cost of medication and other medical expenses, any additional cost can break the bank. That’s why we offer our senior placement services for FREE. It might sound too good to be true, but we can assure you that it is! Susanne cares about the quality of life for every senior and wants to ensure that they only get the best service and living arrangements. Whether you are looking for an assisted living home, independent senior community, or full-time nursing care, we can help you find the right home, in the right location, and within your price range. Moving a parent or any senior loved one into an assisted living home is a difficult process. Let Above And Beyond Senior Placement Service help you out. Our dedicated owner will search throughout the Phoenix and surrounding areas to find a home that fits your exact needs. For free. The process starts with an in-person interview to understand your needs and wants so that we can do our job to the best of our abilities.